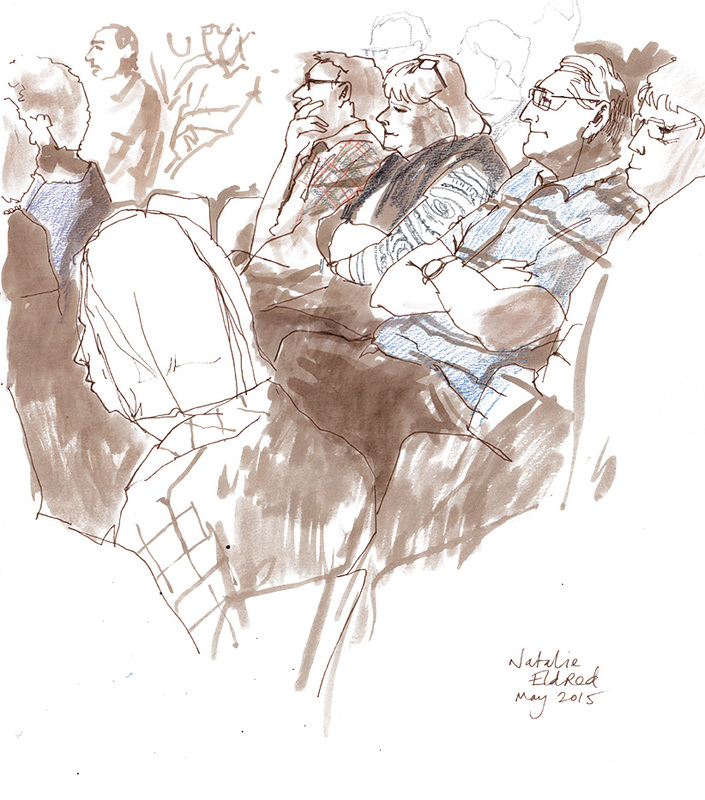 Back in May, I last drew at the Warm & Toasty club, at Colchester Arts Centre. 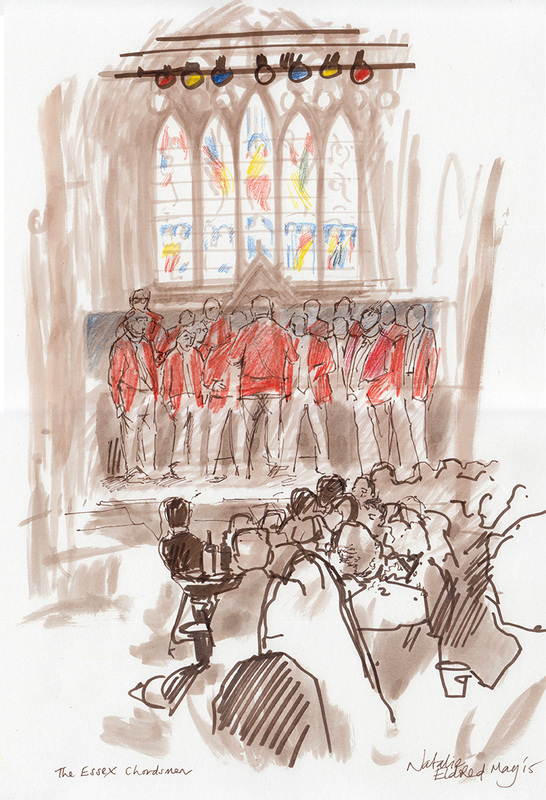 The artists drawn here are Anna Pancaldi, Alex Highton and The Essex Chordsmen. It’s a great afternoon’s entertainment with brilliant new music being performed live. The organiser is Johnno Casson and it really is worth a visit – the next date is August 16 2015. Tickets are £5 and can be bought here. 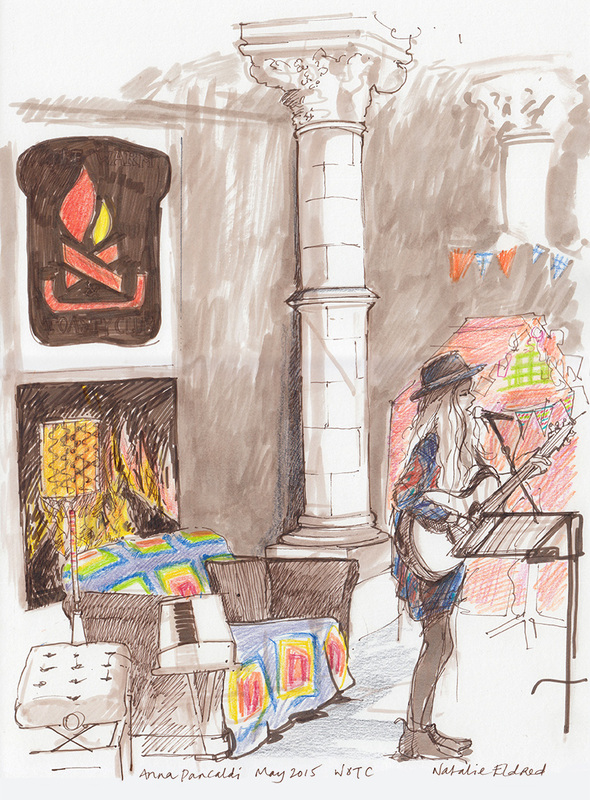 Prints of the artworks are available, all proceeds going to support the work of The Warm & Toasty Club, which besides putting on a great afternoon of entertainment suitable for all ages, works to record the stories and songs of the older generations in Essex. Find out more here. 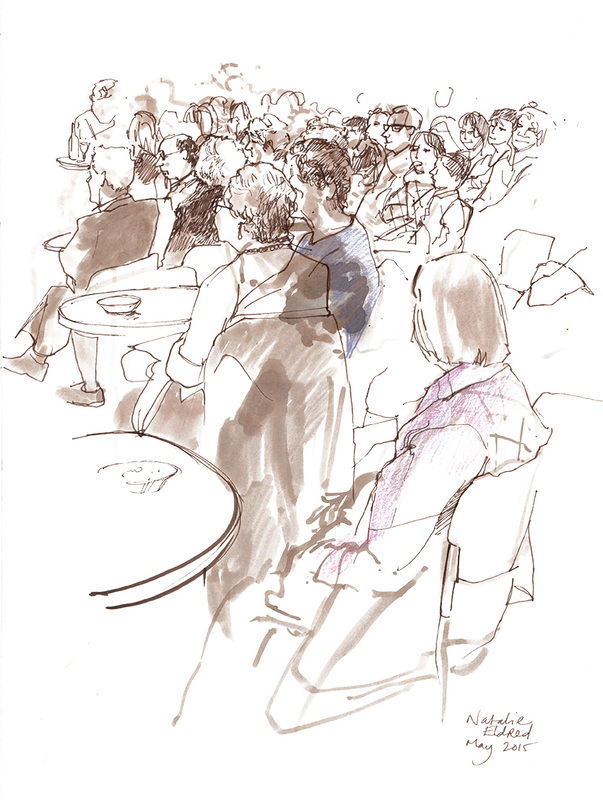 If you’d like to purchase a print – then you can contact me via my event illustration website. Prints are A3, cost £45 and are of a professional fine art, colour-fast quality known as Giclee and printed on watercolour paper, meaning that all the qualities of the original drawing are preserved. I will be trying to contact the people who have already expressed an interest in prints at the events, but if you are one of them, please feel free to jog my memory by contacting me again. Watch out for the Warm & Toasty images from event number 3 on August 16th, which will be on here soon!